Hi everyone, my name is Oscar Shamalla, I am a Kenyan from Kakamega County and precisely from Musingu/Bukusi village. I was born and raised in a Christian family of eight. I came from a very humble background, my parents had no formal job and we relied on little agricultural activities for survival from our small piece of land in the village. From my young age I was told education was the key that could empower me and help me change my life. I believed and I worked hard. I did well in both primary and secondary examinations. I proceeded to pursue my bachelor's degree in pharmacy in Pakistan. It was a five years program and the financial implications were too big for my imagination. It seemed out rightly impossible but I still had strong faith. It was a time when the Green Olive Foundation was starting; it was still a very young organization with nothing much in financial terms. Luckily, I had been identified as a potential beneficiary by its patron Mr. Geoffrey Segero. I must thank him for believing in me. My dreams almost got shattered while I was just a first year student in the pharmacy school due to lack of fees. I thought I was never going to see myself finish university. My thoughts were false, thanks to Bronwyn Harwood because she just came in the nick of time! She was a godsend I guess? She paid my fees, paid my upkeep expenses and even my air travel. She did all these despite the fact that she had never seen me or met me. She believed in me! I have no words to describe my gratitude to her and to the Green Olive Foundation. I graduated in the year 2010; I travelled back to Kenya and in the same year passed the local exams which were needed for me to register as a pharmacist in Kenya. I have worked in various places since then. At the moment I am the pharmacist in charge of Lodwar County and Referral Hospital, Turkana County in Northern Kenya. I am proud to serve Kenya in this capacity and am optimistic that the future is very bright. My job has given me the ability to take care of my parents, pay fees for my brother at University and assist my youngest sibling still in high school. When opportunities strike I don't hesitate to extend a lending hand in whatever little way I can to those children who are in need and desperate just like I used to be. Apart from my work at the hospital I am one of the board members of the Green Olive Foundation. As earlier stated my gratitude to the Green Olive Foundation is immeasurable! I look forward to its growth so that many sponsors and well-wishers will come on board to help so that many more young men and women from poor families can get assisted to achieve their potential in full through education. 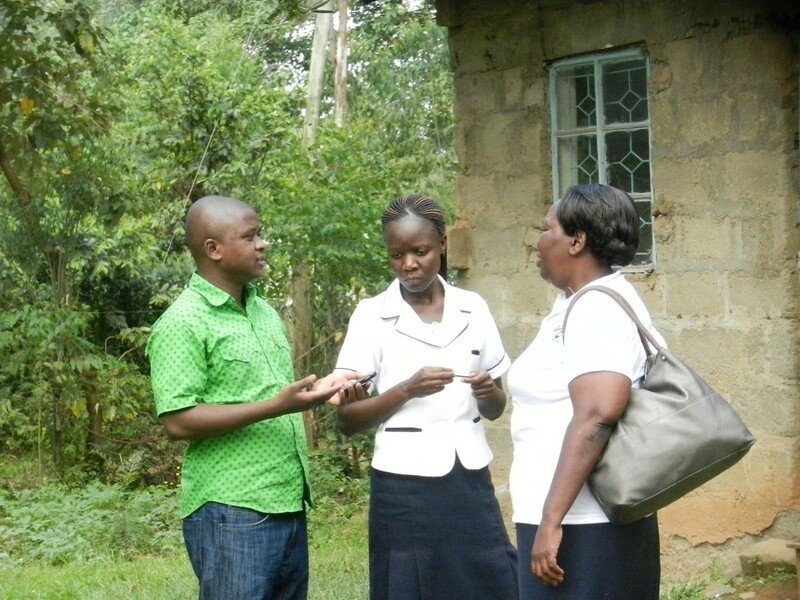 Oscar meeting health workers from the local clinic.